The Christmas season is such a special time for my family and it is even more special because of the wonder and sparkle that I see in my children’s eyes. To keep alive the excitement of Christmas, The Christmas Web is a children’s storybook that brings to life one family’s tradition of using “magic wands”. These magic wands are actually spools of yarn that will ultimately lead children to their special gift at the end of the “Christmas Web”. In the holiday story, written by Kerry Grinkmeyer it tells the tale of elves who look over the children during the year and know of their most wanted Christmas gifts on their list. The elves (parents) create a web through the house which ends in a special place where the gift is found much to the delight of the children. The creative and fun story was engaging for my children who really loved it and I thought that the illustrations by Diana McManus Whitman were beautiful. 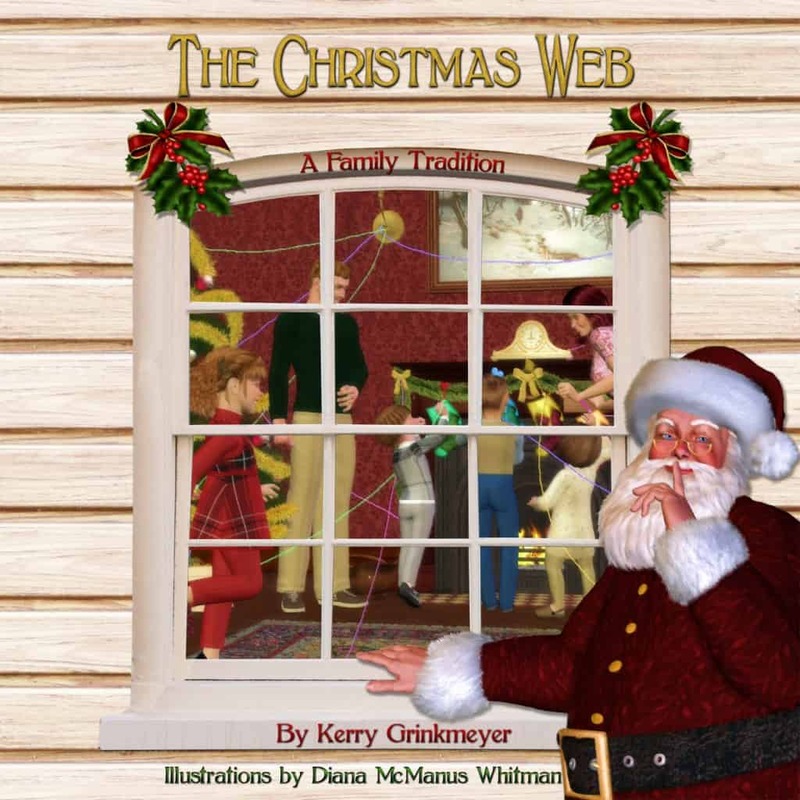 To bring this family tradition to life, The Christmas Web set includes not only the hardcover storybook but three spools of brightly colored yarn so that you too can have your own Christmas Web as a surprise for your kids on Christmas morning. Each of my children receive their most special gift to open last on Christmas morning and I plan to set up their Christmas Web outside in our backyard (we live in Florida so the weather should be perfect) so that they can have a blast finding their presents. We can even record our Christmas web memories in the back of the storybook to reflect upon Christmases past each year. The Christmas Web would be a wonderful gift idea because it comes in a lovely boxed set or is something especially fun if you are looking to put a little magic into the holiday season this year. My children loved the book and I can’t wait to see their surprise when they wake up Christmas morning to discover their very own Christmas Web! Want to learn more? You are invited to visit The Christmas Web website where you can purchase a Christmas Web for your family for only $39.99! Connect with The Christmas Web on Facebook and Twitter too! This seems to be a very cute idea for children. Thanks for bringing it to my attention. This is such a great idea. My children would love this! Like the idea of starting a new tradition that is so unique. Makes it so different that you can do this outside in your backyard! This is a great review. I just ordered this book for our family. What a great idea. One of my favourite Christmas memories is when my parents set up a string that I had to follow all through the house that eventually led right back to the living room and my big Christmas gift. It was a fun time! I like to read Christmas books, too, but l stick to lighthearted ones. I love the idea of this book. What a creative way to slow down the Christmas morning madness, lol. Whay s a great review I ordered this book for our family. What a perfect Christmas present this would make for my grandchildren. I know they would just love it. I would lovethat book. I’m a former teacher. My grandchildren would love it. It could become another tradition. I love having special Christmas books to read with the kids. Thank you for sharing this wonderful review!